With tons of options on the market , choosing the best synthetic oil for motor is hands-down one toughest decisions every vehicle owner has to make. Get it right and you’ll have a very efficient vehicle. Use a bad product and you could knock your vehicle’s engine. So therefore , you need to have proper knowledge of synthetic oils and how they work before making that big decision. Our buyer’s guide below highlights the best rated synthetic oil for the money. The 03084 Edge is one of Castro’s best synthetic oil and their most advanced product. It is a 5W-30 oil that was born out of the need for a synthetic oil that not only gets the work done but also maximizes engines by reducing deposit formation. The core strength of this oil lies in Castro’s patented titanium technology which changes the way oil behaves under pressure. This advanced formulation improves performance of the engines , reduces friction and also reduces wear and tear caused by metal to metal contact. From the feedback we got , Car owners saw an increase in performance after using this product. Some of them called it the best motor oil they ever used and wished they bought it earlier. We cannot talk about the best synthetic oil without a mention of Mobil , one of the world’s leaders in the Automotive gasoline and additives industry. The Mobil 120758 synthetic oil is an advanced formulation for the cold region. It is rated 0W-20 and works well in vehicles from top brands such as Honda , Nissan and Toyota. Mobil 120758 offers excellent thermal and oxidation stability to reduce oil aging which would result in long-lasting protection for your vehicles. Its advanced synthetic formation is proven to reduce viscosity and improve fuel economy of vehicles. Mobil claims this motor oil is capable of improving fuel economy by 2% , although the actual savings depends on the driving conditions , temperature and engine type. Overall , Mobil 120758 is an effective motor oil and the best 0w-20 synthetic oil. 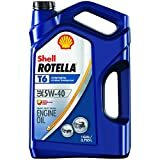 Shell ROTELLA T6 synthetic oil is our top recommendation for diesel engine vehicles. This oil is very popular in the automotive community for its ability to work in motorcycles as well as diesel powered vehicles such as heavy duty pickup trucks , trailers and cars. Because Diesel engines are heavy duty in their operations , they need the best synthetic oil for diesel to match their performance and Shell’s ROTELLA T6 is the perfect oil. It provides protection against oil deposit formation as well as wear and tear from metal to metal contact. Thanks to Shell’s exclusive Triple Protection Plus formula , the Rotella T6 is very efficient for driving in very low temperatures. It does so by providing resistance to viscosity loss and maintaining oil pressure which in turn translates to optimal flow of oil irrespective of low temperature. Shell Rotella T6 does all this while improving fuel economy by 1.5% ; a perfect icing on the cake , if you ask me. Valvoline Synpower is another top quality motor oil for those who are serious about protecting their engine. It is a well formulated synthetic oil that ensures your engine is well protected by fighting the 3 main causes of engine stress ; heat , deposits , and wear. 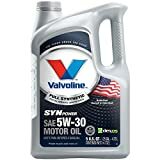 Asides protecting the engine , Valvoline Synpower also ensures optimal performance in cold temperature through faster oil flow and just like other best synthetic oils , it improves fuel economy although the company didn’t specify by how many %. Overall , the Synpower is a quality synthetic oil that is sure to improve the quality of your engine. It is Owned and operated by an American company hence its popularity in the USA. 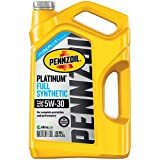 Another best synthetic motor oil you can rely on is the Pennzoil 550046126 which is often preferred for its unique Pure Plus technology that is very efficient in cleaning the engines. This synthetic oil improves efficiency of the engine by constantly attacking potential and stubborn deposits , resulting to a clean and efficient engine. The manufacturer claims Pennzoil 55046126 oil is capable of cleaning the engine by up to 40% , which is the highest rating of any product on the market. We recommend this product for those looking to thoroughly clean their engines while improving the efficiency of their vehicle. Another great synthetic oil is the Liqui Moly premium , a popular motor oil in Germany. This oil provides a proven solution for motorists living in low temperature regions. It ensures longevity of vehicles by offering full protection for the engines and gear while maintaining cleanliness. 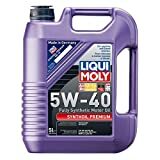 Liqui Moly is a German-made oil is quite popular among Audi car owners and upon further observations , we think it is the best synthetic oil for made in Germany cars. This oil can be used for both diesel and gasoline powered cars. Synthetic Oil vs Regular Oil – What Are The Differences? There are several benefits of using Synthetic oil over regular oil which we would discuss but first , let us differentiate between regular and synthetic oil. Regular Oils are a by-product of crude oil which lubricates engines but provides little protection to them. Synthetic Oils are a combination of regular oil and synthetic additives. They are more efficient than regular oils and provide maximum protection to the engines. Synthetic oils are best for cars with high-performance engines as they are built for efficiency in high / low temperature regions. Also , synthetic oils are changed less frequently than regular oils even though they provide more efficiency. This is the main reason why most people use synthetic oil over regular oils on the market. Synthetic oils are formulated for better lubrication which results to improved engine efficiency irrespective of the weather condition. An extra benefit is that synthetic oils also reduces wear and tear due to metal to metal contact and improves engine cleanliness by reducing deposit formation by the engines. In terms of cost , Regular oils are cheaper than Synthetic oils but on the long run , it makes more economical sense to invest in a synthetic oil. Regular oils are changed an average of once every 3,000 miles but synthetic oils lasts for as much as 7,000 miles , with some oils lasting up to 10,000 miles before needing a change. This is X2 the miles of regular oil and so , it makes more sense to use a synthetic oil with the knowledge that you’ll be getting better value for money on the long run. Another important but sometimes overlooked benefit of synthetic oil is its resistance to external conditions such as oxidation and thermal breakdown which results in a change of the Oil’s viscosity. There is also reduced evaporation in synthetic oil compared to regular motor oil. Semi-Synthetic oil is the bumped up version of your regular motor oil. It is a mixture of regular oil and synthetic (additives) to boost the engine’s performance. Semi-synthetic oils are less powerful compared to full synthetic oils because they are not 100% synthetic , but the good thing about them is that you get some of the benefits of full synthetic oil at the price of regular oil. As the name implies , full synthetic oil is 100% synthetic. They are usually manufactured in the lab and vary in molecular structure according to each manufacturer. The interesting thing here is that even though they are produced in the lab , each manufacturer has its own unique formula for production , so we end up having synthetic oils with different performance ratings even thought they all meet the SAE standard for motor oil. What Happens When You Drive A Vehicle Without Oil? The engine will knock. The vehicle will break down. You will spend over $2,500 to rebuild the engine. Lubrication is very important to automobiles and no vehicle can work effectively without the necessary lubricants. So therefore , it is advised that you follow a maintenance routine which would involve constantly checking your engine oil and replacing it when necessary.